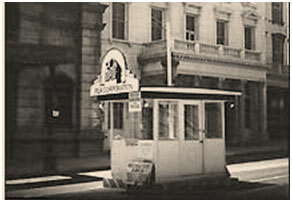 The William Fox Motion Pictures Studio originally stood at Sunset Boulevard and Western Avenue. In 1928, they moved to what is now Century City, onto land that had earlier been the personal ranch of Western film star Tom Mix. Fox merged with Twentieth Century Pictures in 1935 to become Twentieth Century-Fox. The old Sunset and Western studio had been unused for a while, but Fox reactivated it for the My Friend Flicka series, as it was their first television series, and they wanted to put a lot into it. All the interior scenes for My Friend Flicka were shot on the sound stages there, and this is where the mythical town of Coulee Springs was located for the scenes that took place in the town. This is where Johnny Washbrook and other child actors received their schooling each day too. The school was located in the writers building, which was a long narrow building where the writers worked on the scripts. The classroom itself had two rows of school desks, five to a row. 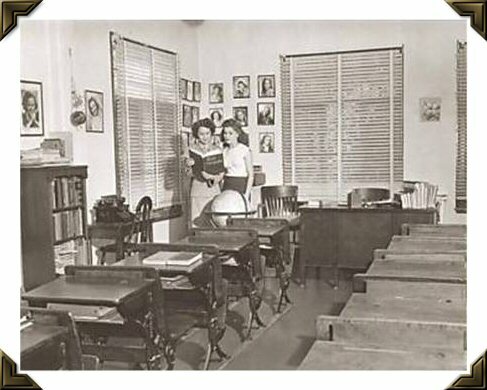 They were the old-style wooden desks as shown in the photograph below (which many children who grew up during that era still had in their schools across the nation). Instead of pictures of Presidents on the wall, though, there were framed photographs of famous actors and actresses, like Shirley Temple, who had previously attended their school classes there as children or teens. The teachers were kept informed when scenes were coming up that included children, as a teacher would have to accompany the child or children on the sets to look after their welfare. 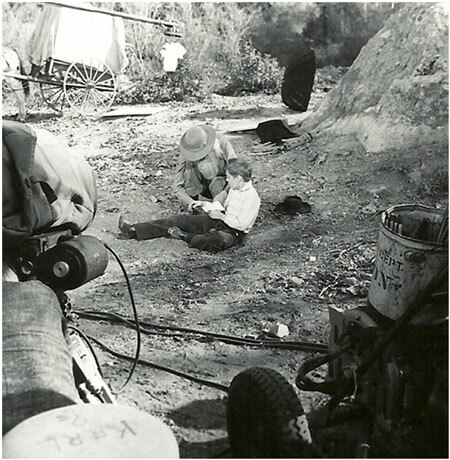 Beverly Washburn, a child actor contemporary and friend of Johnny Washbrook, explains in her autobiography Reel Tears, that child actors were taught by certified school teachers from the Los Angeles Board of Education, and that their job, in addition to actually teaching class to the young performers, was to make sure that the child's welfare was well protected. Before the child was allowed to work, they had to "go to the Los Angeles Board of Education for a physical and to receive a work permit. This was something that had to be done every six months" to make sure the child actor was physically able to work and had no health problems. She further relates that "Child actors are allowed to work only so many hours a day, and never overtime. You have to have three hours of schooling a day, which you bring from your own school, and you have to have schooling in at least 20 minute increments. This means a director can pull a child out of school to do a scene as long as he or she has done at least 20 minutes of class work, but not if the child has done less than 20 minutes at a time. Once you've completed three hours, you're done for the day." The Sunset and Western studio lot is now the site of a Food 4 Less market and the post-production studios of Color By Deluxe. The current (Century City) Twentieth Century-Fox Studios that are left, shown in the aerial shot above, are located at 10201 W. Pico Boulevard, just south of Santa Monica Boulevard near Avenue of the Stars. 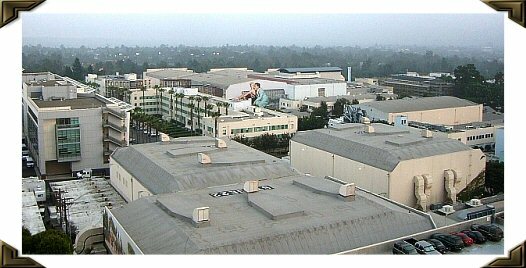 Most of the current Fox Studio's back lot was sold off when the present Century City was first developed, and some of the studio's facilities were relocated elsewhere to make room for the shopping center. However, a good part of the old Fox Studios has survived and still remains busy making motion picture and television productions. The studio is now owned by Rupert Murdoch's News Corporation, which also owns the Fox Television Network. Despite a fire which ravaged the back lot a few years ago, the studio even still retains some of the historic sets from long ago. 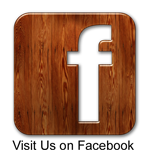 To view local area and lot maps for 20th Century-Fox Studios, CLICK HERE. The entire Goose Bar Ranch was built by 20th Century-Fox carpenters on the Fox Movie Ranch, located near Malibu, in Calabasas. The ranch set included the entrance, the corral, fencing, etc.—just as you see in the My Friend Flicka episodes. The ranch house itself was a façade (with complete front and sides and partial roof, but no back and nothing inside), but the barn was complete. The ranch set, as well as two other long-standing outdoor sets, a frontier fort and a Mexican village, are all long gone. What would later become the major portion of the Fox Movie Ranch had been the site of a country club called Crag's as early as 1900. Filming began on the property in 1935, when MGM built a tree house for Tarzan Escapes near Crag's Road and Brent Mountain. 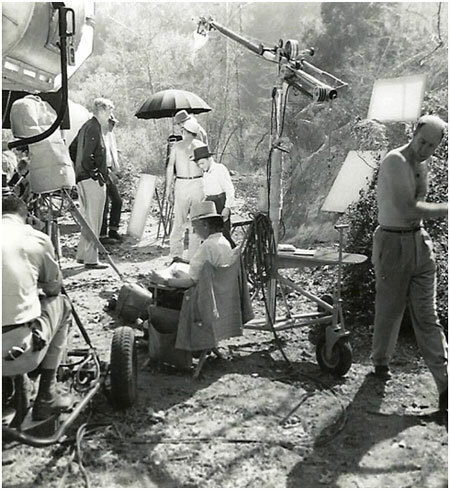 After filming How Green Was My Valley there in 1941, 20th Century-Fox decided that the varied terrain afforded a great area for various productions, so they purchased the property five years later. They were originally considering moving their entire production facility there. 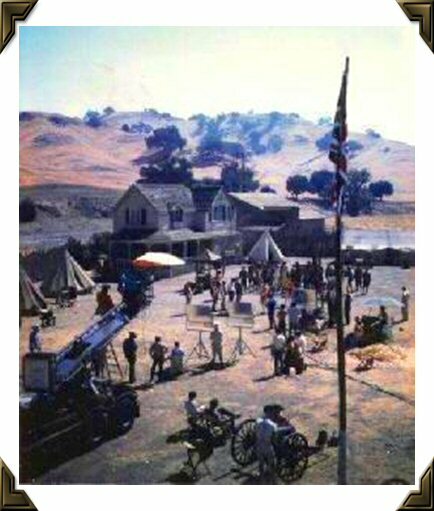 The following six photos of the filming of a My Friend Flicka episode at the Fox Movie Ranch were by taken by a cousin of Johnny Washbrook. She had come to California from Canada on a family visit, and the photos are furnished courtesy of her family. Besides being the major film location for their first television series, My Friend Flicka, Fox used the area as the location for dozens of other successful film productions. Motion pictures they filmed there include The Defiant Ones with Tony Curtis and Sidney Poitier, Sand Pebbles with Steve McQueen, Viva Zapata starring Anthony Quinn and Marlon Brando, Doctor Doolittle with Rex Harrison, and Elvis Presley's Love Me Tender. In the movie Butch Cassidy and the Sundance Kid, do your recall the memorable scene where Paul Newman and Robert Redford jump off the cliff together? That famous scene was filmed there at the Fox Movie Ranch. It was the film location for three Tarzan films, and also for the original Planet of the Apes feature starring Charlton Heston. You can still see "Mr. Blandings Dream House" from the Cary Grant and Myrna Loy movie there on the property. The house used in the film, remodeled and a much more bland than Blandings' original, is now used for administrative officers for park employees. 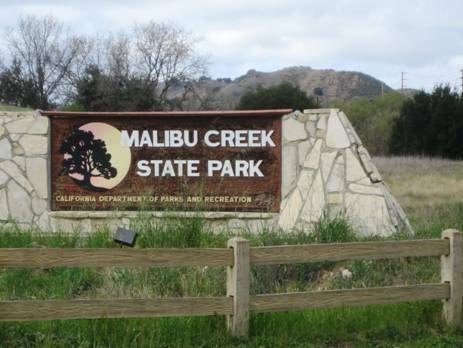 A major portion of the Fox property, along with ranch property belonging to Bob Hope and Ronald Reagan, was purchased by the State of California and opened to the public in 1976 as Malibu Creek State Park. 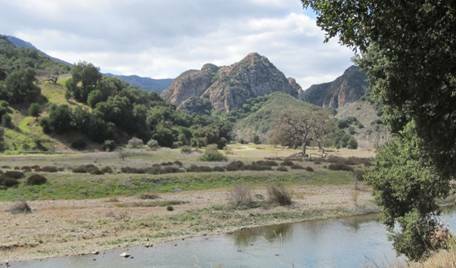 The huge park is in the middle of the Santa Monica Mountains, and is comprised of more than 10,000 acres of rugged and varied terrain, all within the largest metropolitan area on the west coast. 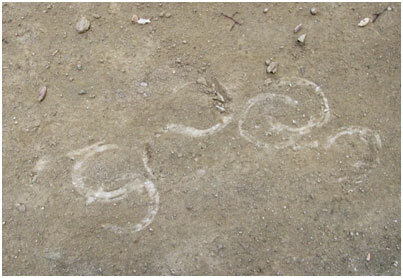 It contains over thirty miles of hiking trails. The entrance is located at 1925 Las Virgenes Road in Calabasas, about 25 miles west from Los Angeles' city center (take the Las Virgenes off-ramp from Highway 101 and drive west--look for the park entrance on your right). The park is still occasionally used for filming. If you are a nature-lover (and who isn't?) 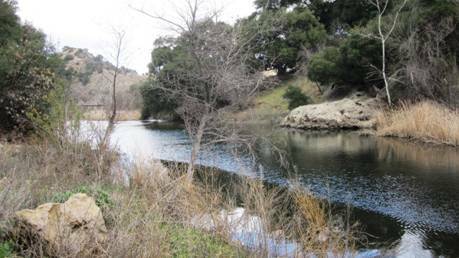 and you would like to spend a day hiking around the land where My Friend Flicka was filmed, wear study footwear, take a friend (and water) and watch out for the poison oak and rattlesnakes (stay away from them and they won't bother you). The scenery is magnificent, and it will be a hike you will always remember. The ranch house on the McLaughlins’ Goose Bar Ranch was actually a house on Fox’s movie ranch much-used by them for a variety of films. Here they are set up for an unknown feature where the house is apparently incorporated into a fort theme. 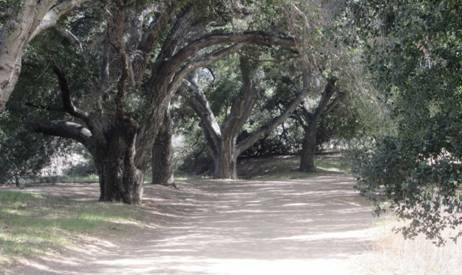 The Goose Bar Ranch was constructed on the main floor of the Fox Movie Ranch (now Malibu Creek State Park), and the ranch house and barn were located between Malibu Creek and a long single-story white ranch-type house now used as the park Visitors Center. The McLaughlin ranch house faced the Goat Buttes, which command the scenery above the main floor of the park. as they compete with mountain bicycles and hikers today. Some episodes of My Friend Flicka, according to John Washbrook, were also filmed at Iverson Movie Ranch. 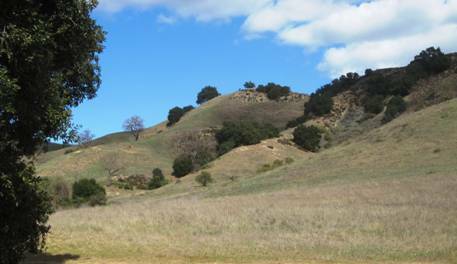 Karl and Augusta Iverson owned the 500-acre family ranch, which was located in the Simi Hills on Santa Susana Pass above Chatsworth, California. 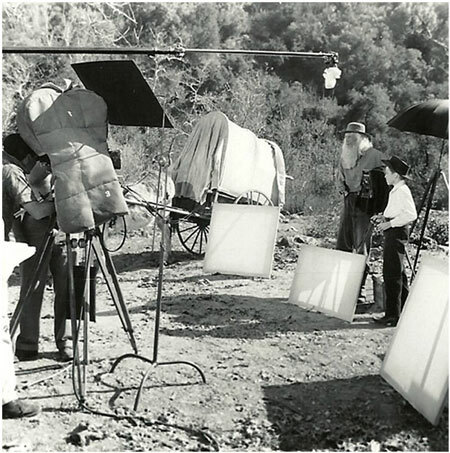 They first allowed silent films to be shot on the property as early as 1912. This was the beginning of a long association between the ranch and Hollywood. 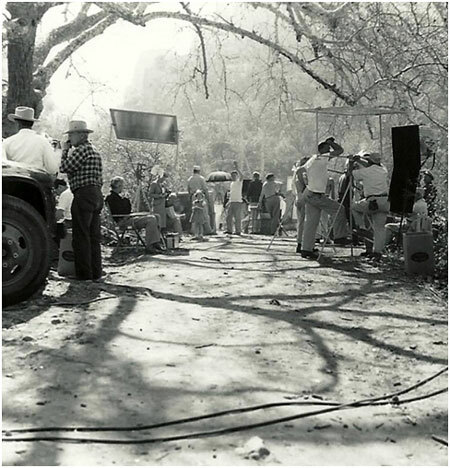 It soon became the go-to outdoor location for western films, and stood in for Africa, and many other exotic locations as well. Laurel and Hardy's The Flying Deuces (1939), John Wayne's The Fighting Seabees (1944) and Gary Cooper's The Lives of a Bengal Lancer (1935) are just a few of the classic movies filmed at the ranch. The rocky terrain and narrow, winding roads often turned up in the Republic serials of the 1940s, and were prominently featured in chases and shootouts throughout the heyday of the B-Westerns of the 1930s and 1940s. 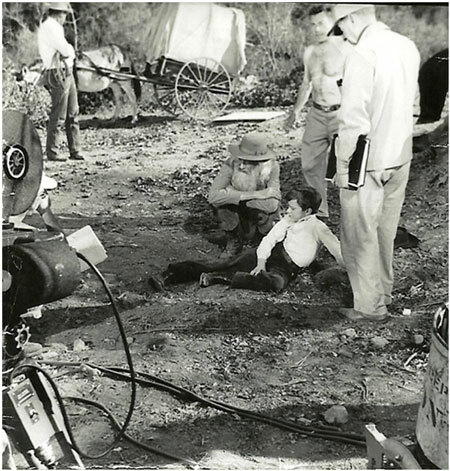 As we entered the 1950s, and Hollywood (and the world) began to focus heavily on new and exciting medium of television, Iverson Ranch became the locale of countless early television series. 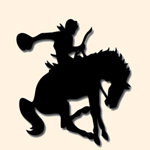 They included The Lone Ranger, The Roy Rogers Show, The Gene Autry Show, The Cisco Kid, My Friend Flicka, The Virginian, Bonanza, Gunsmoke and many others. 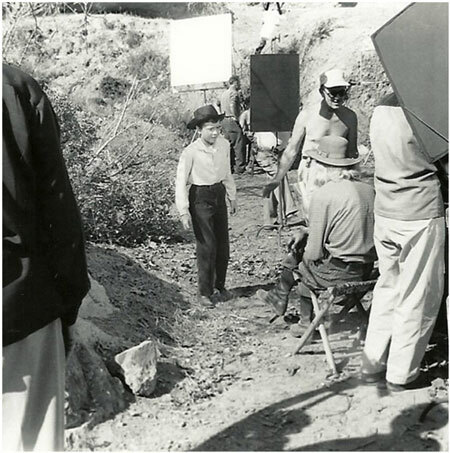 More than a thousand movies and thousands of television series episodes were filmed at the ranch during its heyday. The location of the original ranch was in the northwest corner of Chatsworth, along the western side of Topanga Canyon Boulevard (where it currently intersects with the 118 Freeway). When the original owners passed away, ownership of the ranch went to their two sons and was broken up. Over the years, with freeway construction and strong real estate developmental pressure, coupled with the decline in the popularity of westerns, much of the property eventually became home to condominiums, apartments, and a mobile home park. However, some very unique terrain has still been preserved as parkland. 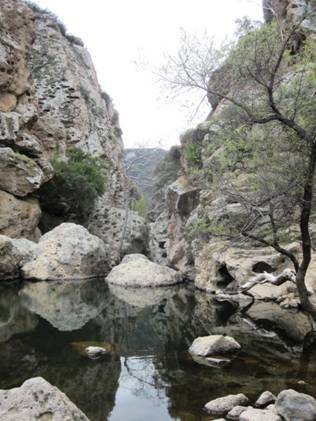 Property on both sides of Redmesa, north of Santa Susana Pass Road, which includes the famous "Garden of the Gods" on the west side Redmesa includes many rock formations seen in countless old movies and TV shows, and it is accessible to the public.